It would be easy to dismiss this book on the world’s greatest living statesman as exploitation. Nelson Mandela is nearing the end of his life and one gets the feeling that any book published within some proximity of his drawing his last breath will sell by the lorry load. So, I have to confess that my first thought was: “Here we go again.” We have, after all, had any number of authorised, semi-authorised and completely unauthorised biographies of the man in recent years – on top of his own Long Walk to Freedom and Mandela: the Authorised Portrait, a coffee-table book that serves as a good photojournalistic record. There are also Mandela cartoon books, Mandela children’s books and the sayings of Mandela. 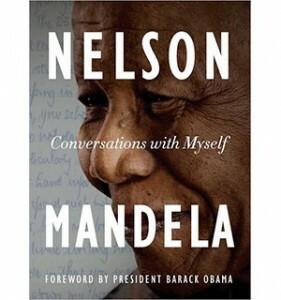 Despite my misgivings, and the unnecessary foreword by Barack Obama, I found myself drawn into this well-organised and annotated compilation of personal files, correspondence, prison notes, interview transcripts and extracts from the unpublished sequel to his 1994 autobiography. Whereas all the previous works on the subject seemed controlled, contained and distant – and that applies equally to Long Walk to Freedom, which was written with Time magazine editor Richard Stengel, and thus has rather strange traces of Harvard-speak throughout – this collection reveals the man for what he is: extraordinarily self-disciplined and with a capacity to forgive his persecutors. In other words, the very qualities that enabled him to lead his country out of the apartheid era. I have one caveat. Despite the volume of Mandela material now in the public domain, I have a feeling he will go to his grave carrying secrets. For example, how much did he know about his wife Winnie’s reign of terror in Soweto in the late Eighties that brought great shame to the name Mandela? I have it on good authority that he was apprised of the details throughout those terrible days, and yet there is barely a passing mention here or in any of the other authorised books. Such omissions mean we shall probably never know the whole truth about Nelson Mandela. Cet article a été posté le 29 août 2011, 6 h 19 min sous la catégorie Littérature anglo-saxonne. Vous pouvez suivre les réponses à cet article via RSS 2.0. Les commentaires ne sont pas autorisés, mais vous pouvez mettre unrétrolien depuis votre site.